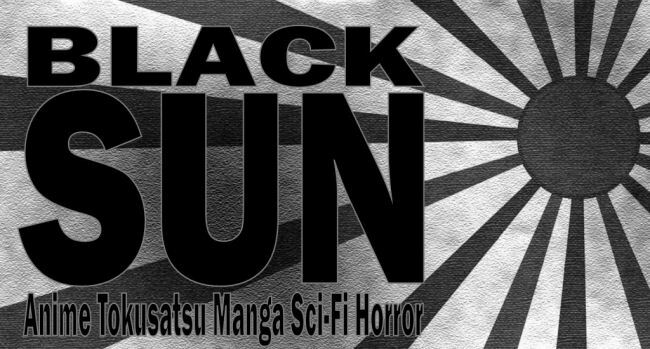 Black Sun: LOOK UP IN THE SKY!!!! 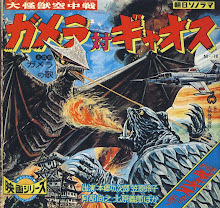 IT’S RODAN!, ITS THE SY-3!, NO!!! IT’S NATIONAL KID!!!!! LOOK UP IN THE SKY!!!! 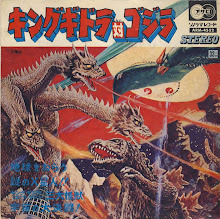 IT’S RODAN!, ITS THE SY-3!, NO!!! IT’S NATIONAL KID!!!!! In 1955 Matsushita Electric (aka National now Panasonic) in Japan introduced their new ad mascot National Kid. 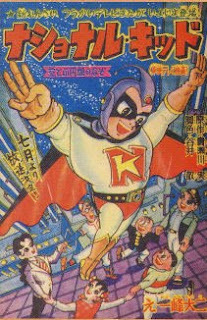 Created by Minoro Takesegawa and Juzo Umino, National Kid has a very obvious Superma n look to him by sporting a large capital “N” on his chest. 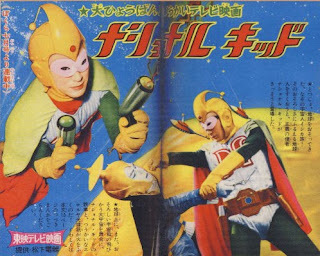 August 4, 1960 National Kid debuted in his own television series which broadcast on Net TV, nowAsahi TV Thursdays 6:15 to 6:45 p.m. with a total of 39 black and white episodes. 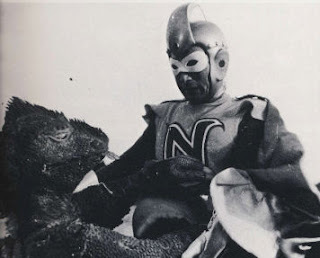 National Kid was the first science fiction based TV hero. 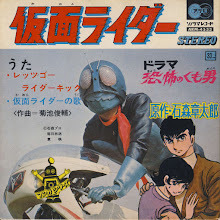 The TV series was produced by Toei along with Matsushita Electric backing. 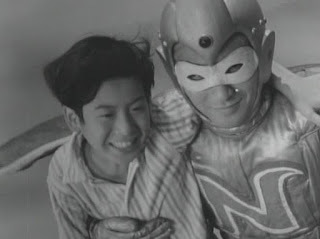 Ichiro Kojima starred in the lead role which was later taken over by Tatsume Shiutaro. The monologue was followed by the “Song of National Kid” by Masayoshi Onuki, composed by Masami Sano, and sang by the Victor Children's Chorus. 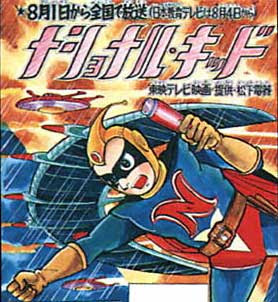 In the context of the series, National Kid is a messenger from the Andromeda system who is immortal and protects the Earth from invaders. National Kid’s alter-ego on Earth was Massao Hata. Massao was the son and apprentice of the world renowned scientist, Dr. Masachika Hata, who holds his practice in a suburb of Tokyo. His powers include supreme strength and flight. He also carried the “Aurora Laser Beam Gun”, which was similar too the flashlight s old by National Electric. The National Kid series is contained in four stories serialized through 39 episodes. 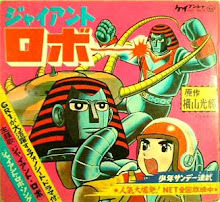 The first story, “Inkazoku no Raishu” (Attack from the Inca Invaders) lasted 13 episodes. The very basic story has National Kid defending the Earth from alien invaders. This time he must protect us from the Inca, who arrive from the planet Venus. Throughout the attempted invasion the Incas unleash massive UFO attacks on Japan. The UFO scenes are supported by great jaw-dropping effects. One scene that stands out is when an Inka UFO hovers over Japan’s Diet Building similar to Ray Harryhausen’s Earth vs. Flying Saucers. The Inca also release a virus in which National Kid struggles to find a cure. NK flies into the mountains and uses his Aurora Laser Beam Gun to blow apart some boulders in order to uncover some rare minerals that helped in creating a remedy for the virus’ effe cts. The remainder of the episodes primarily had National Kid saving children and himself from Inca attacks. 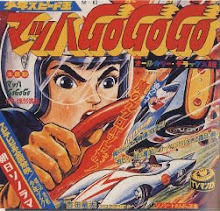 National Kid leaned towards the beginnings of the kind of action and atmosphere that would set Toei apart from other studios superhero fare. In a very enlightening scene, children are menaced by the Inca and all seems lost. National Kid arrives with his theme music playing the background, forced at you with a blaring saxophone. Though he is surrounded by evil, National Kid stands confidentially ready to go. This style would forever be duplicated in grea t effect from then on in Toei Hero television series. 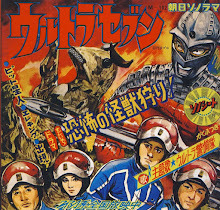 The second story “Kaiteimao Nerukon” (Nerukon, Devil from the Ocean Floor) ran 9 episodes. 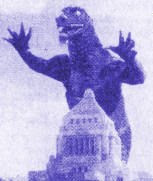 Already using new techniques including blue screen, the special effects are significantly improved over the first story’s efforts. This time National Kid battles an army of oceanic creatures called the Nerukon. The Nerukon walk around in black masks with ceremonial robes and a humanoid appearance. When unmaske d, their true forms are revealed as creatures with Coelacanth-like heads and gillman bodies. 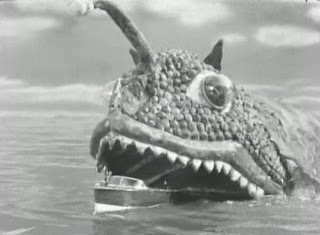 The Nerukon come to the surface world riding in a submarine that looks like a giant mutated prehistoric angler fish causing seismic waves destroying naval ships. This story is probably the most exciting of the whole series because of it’s imaginative monstrous villains and all the crazed fights National Kid has with them. 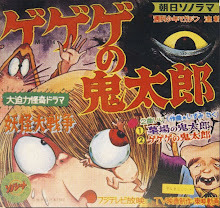 The third story arc titled “Chitei Maba Jyou” (Underground Magic Castle) ran eight episodes. The role of National Kid was taken over by actor Tatsume Shiutaro for the remainder of the series. It’s back to basics this time as National Kid takes on armed forces from beneath the Earth’s surface. The subterranean people are looking for the formula to a rare element that will give them supreme power. Once again UFO’s attack Ja pan killing civilians. 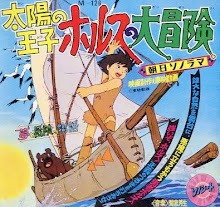 The fourth story arc titled “Mei no Uchu Shonen ( Space Boy Mystery) were the final nine episodes. A space boy named Taro accidentally falls to Earth. 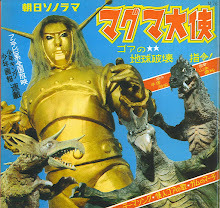 Then Taro’s father mistakenly threatens the destruction of Tokyo and unleashes the giant monster Gyapura for his boys blunder. Taro befriends Massao Hata’s students, and tells his father Earth is a peaceful planet. After this final threat, Massao Hata reveals he is the Earth’s hero National Kid and returns to Andromeda. National Kid was the most expensive Japanese program on during it’s time. The show employed the use of cutting edge special effects. The flying scenes stood out the way the old Republic serial Captain Marvel did… it actually looked like National Kid was flying. The series became a huge hit in Brazil, but wasn't distributed in the United States unfortunately. 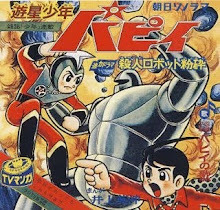 For me National Kid is the coolest of the monochrome heroes of Japan’s yesteryear. If you like the movies Invasion of the Neptune Men (Uchu Kaisoku-sen)(1961) and Prince of Space (Yusei Ouji)(1959), National Kid is for you. Hi Shonen, Great work on National Kid! National Kid is only on VHS in Japan for now. No DVD set has been announced. I thought it was on DVD in Brazil. Check around I thought another country released them. 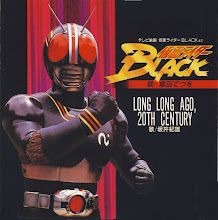 Strange that Toei has put out many of their other early toku heroes such as Gekko Kamen but not this one. is there possible to get a national kid toy?